Drake Smokes Weed With Wiz During Performance from Dailybuzz.ch on Vimeo. If you're Drake and you're going to smoke your first on-stage joint, who better to inaugurate you than Wiz Khalifa. 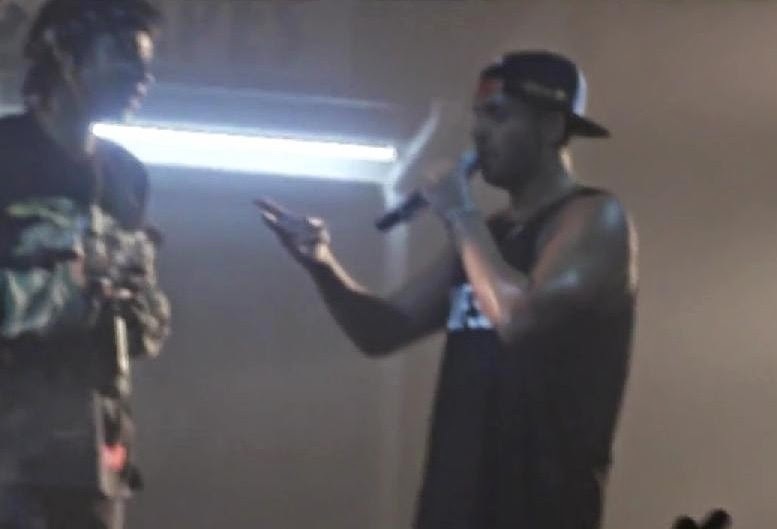 Drake was performing in Houston over the weekend when he was joined on stage by Wiz, who is never weed-shy. Drake -- who confessed he's never lit up during a performance said "f*** it", grabbed the joint and puffed away.